First flight February 7 2003 with Airbus Industrie F-WWYU test registration. Delivered QANTAS March 12 as VH-EBC. 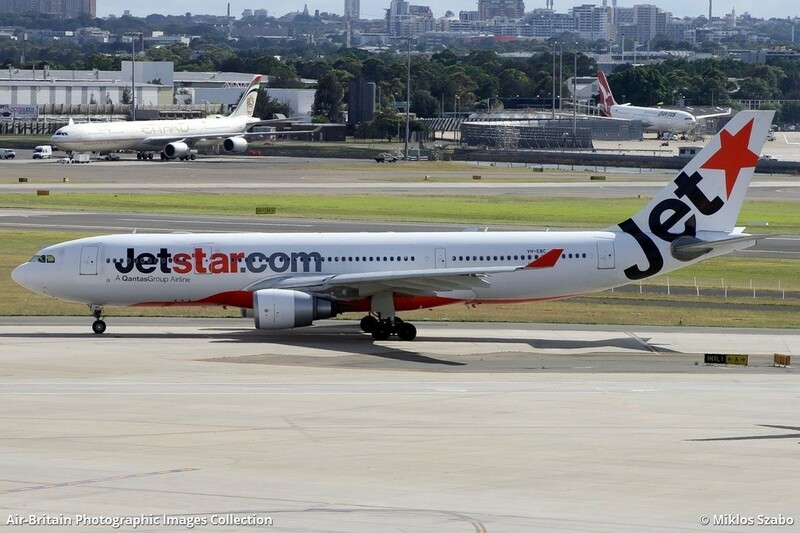 December 23 2006 to JetStar Australia. Registration of generations: QANTAS Boeing 707-138B (c/n 17698, between June 8 1959 and April 1 1967) and 747-238B (c/n 20011, between October 7 1971 and December 3 1984) both wore this Bravo-Charlie reg. The sole albino-liveried white painted JetStar JQ143 seen here as departing from Gate 27 to Christchurch, New Zealand towards threshold 16R to receive take-off clearance for the 3 hr flight.